Learning to freedive is an exciting time for many students. Part of the process of embarking on a new sport is working through the different training programme providers, course schedules, locations and instructors. With Freediving course provider Go Freediving, you will follow the freediving course structure developed by RAID. RAID is a dedicated, e-learning, recreational rebreather and open circuit training programme covering a range of educational courses from Level 1 to Instructor and beyond. 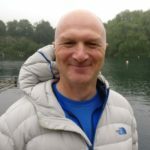 Go Freediving has been teaching this training programme for a number of years, teaching hundreds of students how to freedive safely in small groups to ensure the best possible experience for their students. RAID is internationally recognised and accepted and due to the experience and knowledge of the teaching and materials. I have taught most versions of freediving (AIDA, RAID, SSI) and found RAID offered the most comprehensive support and service for its students. They may have attended one of the Try Freediving taster courses that Go Freediving offer and have unleashed a passion to go further. They may be a scuba diver who wants to improve not only their diving techniques, but also reduce the amount of gas they are using. 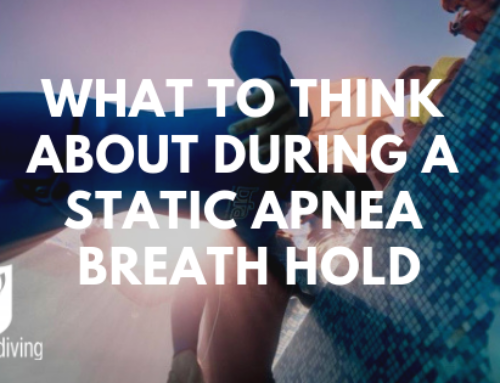 They may be a keen swimmer and snorkeler and simply want to ensure they are doing it safely while maximising the time they can spend exploring underwater. They may be a person struggling with issues of stress, anxiety, fear of water and are exploring new ways to manage their fears or conditions. They may be a water lover who has just been bought THE BEST GIFT EVER! They may be planning a once in a life time trip and do not miss opportunities to explore the oceans they visit. This list is by no means exhaustive, but typically reflects the different reasons people start learning to freedive. 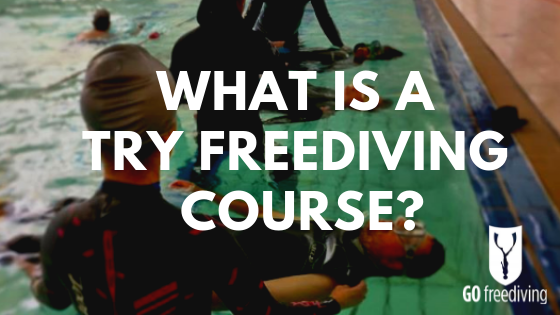 So, once you’ve started learning to freedive, what are the different levels of certification? The RAID Freediver Course is the most popular place student begin when they start to learn to freedive. The course lasts 2 days and runs typically over one weekend – which is massively appealing for students who need to travel to the venue and fold in a holiday or mini-break. 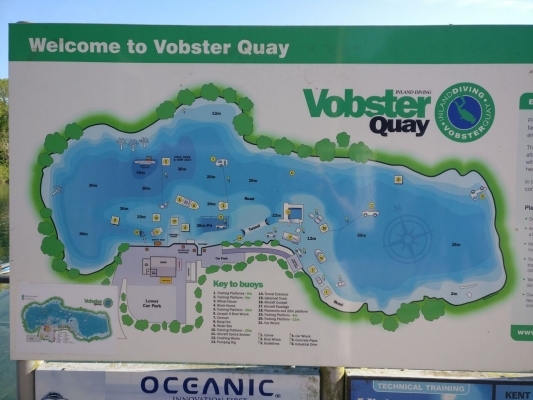 The course combines a mixture of online learning, classroom learning, confined water skills in the pool and open water skills at our designated dive venue – Vobster Quay. The online theory is completed before students attend the course, meaning almost all of the course is spent learning and perfecting your freediving techniques. The course, once successfully completed, leads to an internationally recognised certification in freediving. The RAID Advanced Freediver Course is the next step many freedivers take when they learn to freedive. Students who undertake this course will have already completed the RAID Freediver Course or will be students crossing over from a different freediving learning package. For those wishing to excel when they learn to freedive, the RAID Master Freediver Course is goal many will work towards. This course is held over three days, following the structure of the RAID Advanced Freediver Course with further skills and increased competencies applied. Completion of this course leads to an internationally recognised certification as a master freediver. The completion of these three freediving levels lead keen, safely qualified, master freedivers to enjoy and apply their freediving skills to personal enjoyment, competitions or teaching/training – with many more options and courses available. What are the prerequisites for undertaking a RAID Freediving Course? Will I feel under pressure? Freediving is remarkably relaxing. 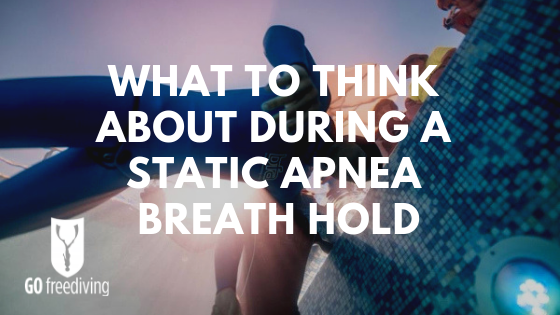 For a sport where there is minimal equipment – and you hold your breath for longer than normal, many people assume the course will be physically demanding. It is indeed more demanding for some than expected, but the demand is not from the physical act of diving. Because of this our instructors work very hard to ensure all progress is at the speed and intensity the individual is comfortable with. Learning to freedive certainly isn’t a race – as one student put it ‘ it is all about the journey’. We couldn’t have put it better ourselves. For those interested in learning to freedive, finding a course to fit in with busy schedules can be challenging. Our courses run every month – with on average a minimum of one course a month – more through the warmer season, of course! 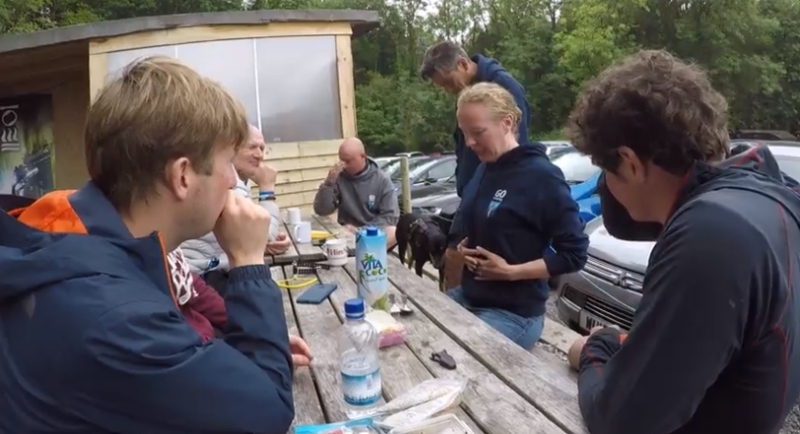 For example, this weekend we were delighted to run a RAID Freediver Course AND a RAID Advanced Freediver Course for a two small groups of students. This doesn’t happen very often as it depends on instructor availability, particularly as the courses are run completely independent of each other – we do not merge different courses together. However, during breaks it is a wonderful opportunity for club members (Vobster is our designated location for club diving too! 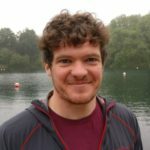 ), new students and older students to discuss freediving techniques, kit – and even they unusually warm British weather! But don’t take our word for it, read what the students thought below! Find out what drove them to do a freediving course, and why they recommend it! I really enjoy snorkelling so I thought that freediving would be a good addition to that, so that I can dive down and explore more if I see something interesting and cool. 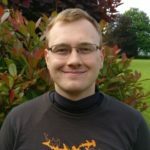 I found Go Freediving by word of mouth as people recommended Go Freediving and also Vobster is the nearest inland site as we are based in Southampton. 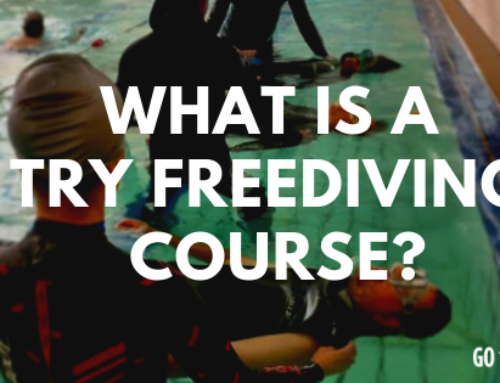 As a result of this course I have discovered that freediving is a lot more difficult that I thought and that it is just not about holding your breath. 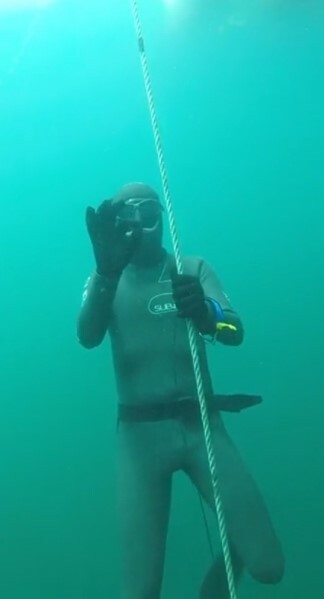 It’s the first time I have done freediving and been to Vobster and there is such a nice community aspect of the course and everyone is so friendly. I surprised myself that I could hold my breath for 1m 40s in the pool session as I didn’t think I would be able to do it. I just loved everything about the course really! Being in the water as a scuba diver, freediving helps boost your in water abilities knowing that are are ok underwater for x amount of time. It helps your breathing patterns. I decided to do freediving through Go Freediving on recommendation from Ryan and from reading up. Go Freediving has a very good reputation and is professional. I have enjoyed reading the newsletters we have been getting, I haven’t come to any pool sessions yet but the club environment is great and keeps everyone involved. I have discovered that if you listen to and trust in what you are taught and relax, everything actually works. I went from doing 6m yesterday to doing 18m! I have enjoyed the teaching pace because of the student instructor ratio. Even when I had equalisation issues I wasn’t keeping up the whole class I was able to do it at my own pace, which was great. 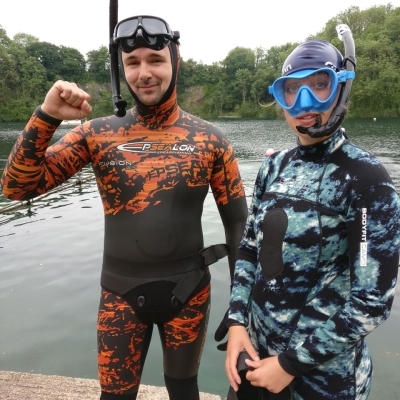 Our Advanced freediving students include two students crossing over from another freediving programme, plus two existing RAID students ready to progress to the next level. Find out what they thought of the course, here! I did the basic course and I enjoyed that so much that I went to the club weekends. I enjoyed that so much that this was the next step up. I came from the basic course qualified but not confident. I joined the club weekends to build my confidence so for this course I was relaxed from the beginning. I was worried because I couldn’t Frenzel, but it was not a problem at all. All the instructors helped me, and it is now something I can practice more on my own. It’s on to the masters next!. The instructors, as usual, were brilliant and it was nothing but good for me really. What surprised me is the depth and how comfortable it is. When I look up and can no longer see the surface I realise I am actually comfortable down here. On my first free immersion at 27m I stopped at the bottom just to look around, even though I had a few equalisation issues, instead of just bolting for it. It is because I knew how to do everything I was comfortable and just had to freefall. The freefall was absolutely amazing and once I have my Frenzel sorted out I will be able to enjoy that so much more. The freefall was one of my favorite things of the weekend, but the whole weekend was great. Swimming through all the planes at the end was also amazing, just knowing the actual distance of it. On the basic course I would never imagined been able to do it. Most will look and see it as huge and impossible on one breath. The practising at club weekends and some static work at home really helped me to be able to do it. Now that I am doing it correctly I am really, really enjoying freediving. The benefit of doing the advanced course is that you come away comfortable with your abilities, and being able to reach new depths is just fantastic, it gives you such a sense of achievement. The advanced tips and tweaks that the instructors give you bring you along from basic to advanced which is amazing! I wanted to do the advanced course for the knowledge and ability to try and go further and deeper. I have been in the sea snorkeling most of my life, I am not a spear fisherman but I just love being in the water and I think freediving has a competitive edge to it making you want to try dive deeper all the time. 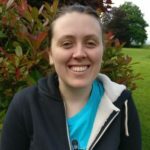 The benefits of the course is having a better knowledge of all the items, I did a 2 star AIDA course about 3-4 years ago and most of the time has been in a pool so it so it just bringing all of that stuff to the fore again but also understanding it all a little bit more technically from a body perspective – what actually happens. And then spending more time in the water because I don’t get the opportunity very often and on a course you have to spend the time in the water. Having the instructor in the water with you picking up on things that you can improve on, even if they are small things, they make it so much easier. I have achieved all I came here to do, the company and the instructors have been good and very patient and have the knowledge and ability to help and direct when needed. When you have a positive environment it becomes a lot easier and the patience and the positive attitude of the instructors has been great, the balance between seriousness and fun is perfect to make it more enjoyable. More knowledge, more confidence and more experience are the three main benefits of the advanced course. 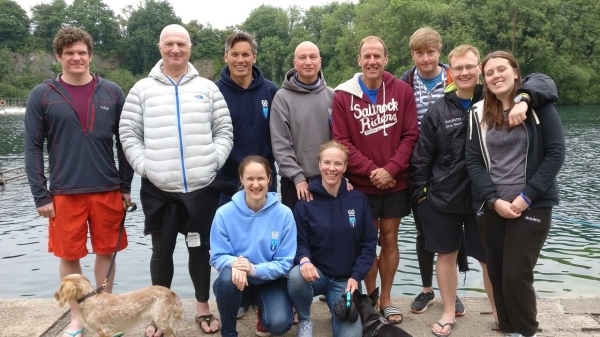 I would recommend that anyone wanting to do the advanced course join a club day to acclimate themselves before doing the course, especially if it has been long since they were last in the water. 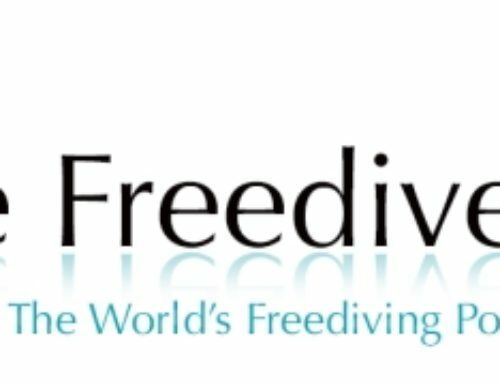 I wanted to do the advanced freediving course because I got to 20m on the basic course and I really wanted to challenge myself a little more. 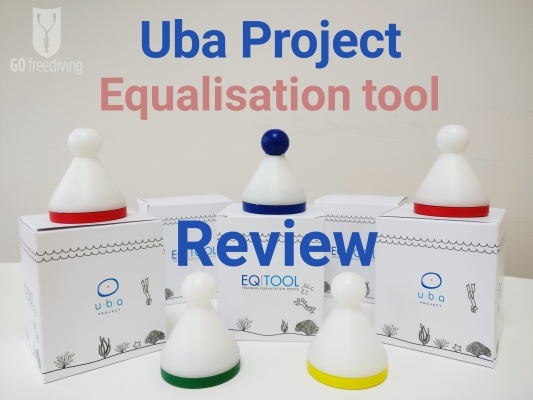 I have found the pool sessions very beneficial and it’s a really nice group of people. I discovered the mental barrier is more pronounced going down below 25m, just thinking about going that deep is a struggle to relax my heart rate a bit! The best part of the course for me was breaking some barriers, meeting new people and just overall enjoying it. 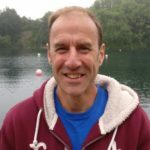 I decided to do the advanced freediving course because I enjoy the personal endurance part of freediving, as I do with my other sporting activities and my first experience with freediving in Cornwall inspired me to do more. I wanted to achieve greater depths and greater breath holds with more confidence. Having done a lifesaving course with Emma about a year ago I liked her style and I feel comfortable in her presence. I like Vobster Quay, I like the water and felt it was the right way to progress, and also to moved from AIDA to RAID as I quite like the way that RAID is set up. I have discovered that I can overcome my inborn and ongoing fear of deep water, I would never swim in a swimming pool as a child so being able to do this is pretty cool for me. Mostly I have enjoyed overcoming my personal challenges to a point where I realise I could be confident before going down on a line or to fin down to a significant depth without feeling fear or insecurity. The benefits of the advanced course are first; the personal challenge to push yourself beyond your own limits, both physical and mental. Second, it is a good environment to be diving here in the quarry. 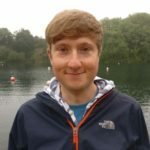 When I did my 2 star AIDA course it was in the sea which was turbulent, cloudy and unsettling and I think to train here at Vobster Quay, initially as a beginner has big advantages in terms of it been a stable and safe environment, and thirdly, the crew.